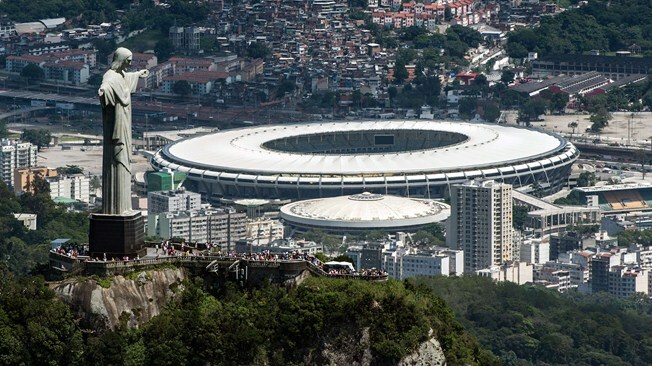 The World Cup 2014 countdown has definitely begun with just 3 weeks to go until the opening match! We have already started to plan some great themed parties in some spectacular venues. However, we know that this is not an option for some people. Therefore, if a party is not your favor or you can’t get everyone free from work for the afternoon, you would like to celebrate this event and watch the broadcast. How about having a World Cup theme screening in your office? Since many games that won’t kick off until early evening, this is a great way to engage all your staff in games as well as build up great team spirit! Bring the outdoors in! Especially fun if you don’t have any outdoor space at your office, it can be really easy to get some Astroturf laid out to feel like you are out on the pitch! There are some companies that we have on call that can do this for you – you could even get a splash of white line paint to give it that extra football feel! If you have got the space to have a dedicated viewing area for the games, how about setting up some amazing themed furniture? 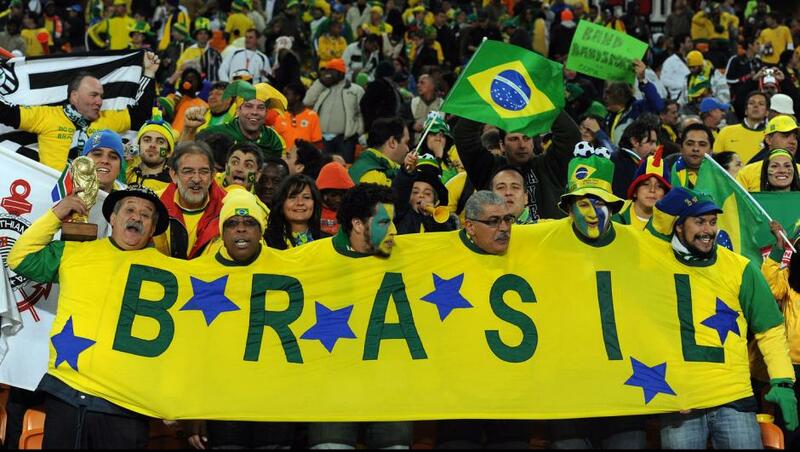 Whether it is going for the traditional Brazilian Flag colours of yellow and green, or a more general football theme – it will definitely bring a different atmosphere to the office. If you don’t have a lot of space you can still get into the spirit with some amazing decorations around the office. Whether flags depicting the different teams (especially fun if you have a diverse range of cultures in the team) or Brazilian party theme brought to your desks, this can be an easy way to liven up the working day! Give your team the experience of watching the matches on a big screen after work by bringing in some AV to the office. If the largest screen you have is on a desktop computer it makes difficulties to get the whole team involved. By simply adding a large screen or monitor, you can bring the team together and make it a real experience. Finally, if you really want to go all out, how about some Brazilian entertainment? To keep your team in the spirit of things by bringing in some Brazilian Dancers or a Brazilian band for some evening or lunchtime entertainment. 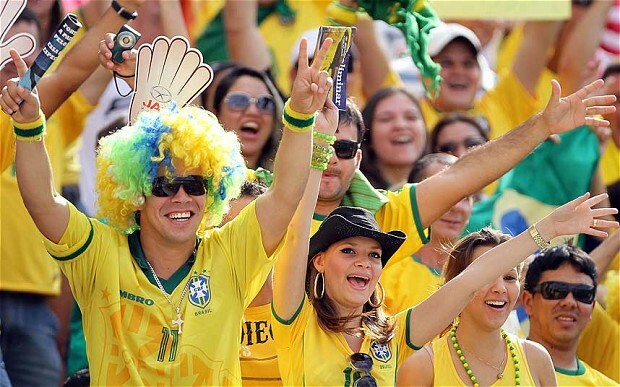 Fortunately, some companies are so humanized that they would hold parties with the theme of Brazil World Cup in order to cheer for the grand sports event. Staffs are required to wear specific sportswear with unified logos or the team logos that you support. Therefore, you should have a full preparation about wearing and decorations in advance. What is your essential are sportswear, colorful Brazilian fans wig with different types, and face painting. In the street, you can also experience strong atmosphere of The World Cup according to people’s specific wearing in a parade cheer. 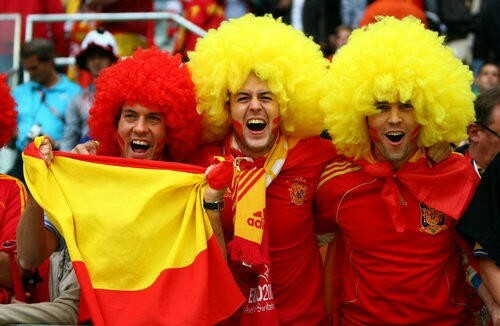 Join them and become one of the passionate fans right now! Thus, if you can’t leave the building for the matches, make sure that you have brought a little bit of the World Cup in to your office this June. Let’s experience passionate and enthusiastic atmosphere of The World Cup and cheer up for these athletes together!